Almost 75 percent of men age 20 and older, or three in every four, are overweight or obese, according to the 2009-to-2010 National Health and Nutrition Examination Survey. If you fall into this category, it's time to reduce your weight to improve your health. A loss of even just 5 to 10 percent of your weight can reduce your risk of chronic disease and improve health markers, such as blood pressure and cholesterol levels. As you age, weight doesn't come off as easily as it did in your youth. You can still lose weight when you're 50, but you may need to take extra effort to incorporate regular exercise and caloric restrictions. A combination of restricting calories and exercising more to create a calorie deficit is the best way to lose weight, confirmed a review in Obesity Reviews from 2015. 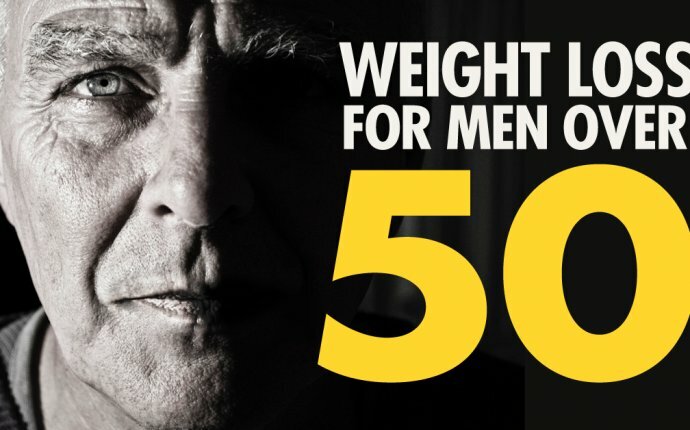 You may find weight gain accelerates and loss is harder once your reach 50, but that doesn't mean these strategies don't work. You've lost muscle mass at a rate of about 8 percent per decade since age 40 as a natural byproduct of aging, and this diminishes your daily calorie burn rate. Your testosterone levels naturally decline, too, after the age of 40, causing more fat to store in your abdomen as belly fat. As a man reaches 50, he burns between 2, 000 and 2, 800 calories per day, depending on activity level. Compare this to the 2, 400 to 3, 000 calories he burned when in his 20s and 30s. Although this reduction in caloric expenditure doesn't seem like a huge difference, realize that a pound of fat equals 3, 500 calories. If you continue to eat as you did when you were younger, or eat more, and move less, you can easily pile on extra pounds. Reverse the weight-gain trend by eating smaller portions and healthier, lower-calorie foods. Also, bump up your activity level by hitting the gym regularly for a combination of strength training and cardio. Use an online calculator that takes into account your gender, age, size and activity level to determine your daily calorie-burn rate. Then, subtract between 500 and 1, 000 calories from it to figure how many you should eat daily. Eating fewer than 1, 600 calories daily is considered a low-calorie diet for a man and should be monitored by a dietitian, since it could cause you to miss important nutrients, feel overly hungry, stall your metabolism and accelerate muscle loss. Raise your daily burn rate with exercise if cutting calories alone leads to too great of a deficit - for example, you can create a 1, 000-calorie deficit by eating 500 fewer calories and burning an additional 500 through exercise daily. Eating too much sugar, fried foods, refined grains and saturated fats at any age inhibits weight loss. Lean proteins and vegetables, especially watery, fiber-rich ones, should be your focus. Small portions of whole grains, such as brown rice and 100-percent whole-wheat bread, can also be included in meals. Daily, you want to consume between 45 and 65 percent of calories from carbohydrates, 10 to 35 percent from protein and 20 to 35 percent from fats. Emphasize mostly healthy, unsaturated fats from avocados, nuts, seeds and olive oil, not the kind you find in fatty cuts of meat and full-fat dairy. How much you eat at each meal depends on your daily calorie target. Use 3 to 4 ounces of protein, 1/2 to 1 cup of whole grains and 1 cup of vegetables as benchmarks for serving sizes. Ideas for breakfast include poached eggs with 100-percent whole-wheat toast and fresh fruit; oatmeal topped with low-fat milk, berries and chopped almonds; or a whole-grain bagel with peanut butter and banana. Lunch and dinner meals don't have to consist of rabbit food. You can still enjoy a serving of 100-percent whole-wheat pasta with marinara sauce, ground white-meat turkey and broccoli; a serving of bean chili over brown rice with a side salad; or tacos made with lean steak, black beans, salsa and avocado served in corn tortillas. If you're not already strength-training, start now. The weight room floor is not reserved for men in their youth. Lifting weights helps offset the natural loss of muscle mass as you age and builds it instead, and this contributes to a higher metabolism. Address all the major muscle groups - legs, arms, shoulders, chest, back and abs - with a program two to three times per week on nonconsecutive days. Start with a modest weight that fatigues you in one set of eight to 12 repetitions and progress to heavier weights and additional sets as you become stronger. If you're coming back after a long hiatus, don't let your ego start you back at the weight level you lifted when you were in prime shape. Ease into lifting gradually so you don't cause injury, and consult a personal trainer to ensure you're using proper technique.